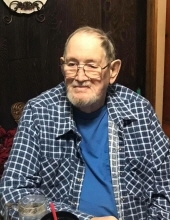 William “Bill” Jones, age 73, of Williamsburg, KY, passed away Monday February 4, 2019 at his home. He was born January 31, 1946 in Williamsburg, KY, to the late Dorrel Jones and the late Lillian Strunk Jones. Along with his parents he is preceded in death by his mother in law and father in law Bus and Sylvia Manning 2 sisters, Barbara Day and Sue King. He is survived by his wife of 53 years, Nancy Jones , 1 daughter Vivian Griffith and husband James of Winchester, KY, 1 son Scott Jones and wife Edna all of Williamsburg, KY, 10 grandchildren, James Griffith (Ashlee) Tamra Delk (Jay), Blake Griffith (Krystyn), Emily Jones, Dalton Jones, Brittany Jones, Savannah Jones, James Jones, Bradley Jones, Nevaeh Golden, 5 great grandchildren, Aaleyah Griffith, Landon Perkins, Lily Hatfield, Cailynn Moses, Emma Delk, 1 brother, Barney Jones of Lacombe, LA, and a host of other relatives and friends to mourn his passing. Funeral services will be 11:00AM Thursday February 7, 2019 at the Croley Funeral Home Chapel with Rev. Doyle Lester and Rev. Larry Waddell officiating. Following the service he will be laid to rest in the Croley Addition of the Highland Park Cemetery. Military Graveside Honors will be conducted by the American Legion Post #88 of the American Legion. Visitation will be after 5:00PM Wednesday February 6, 2019 at the funeral home. To send flowers or a remembrance gift to the family of William Bill Jones, please visit our Tribute Store. "Email Address" would like to share the life celebration of William Bill Jones. Click on the "link" to go to share a favorite memory or leave a condolence message for the family.